Döden döden döden : Take your broken heart, make it into art. 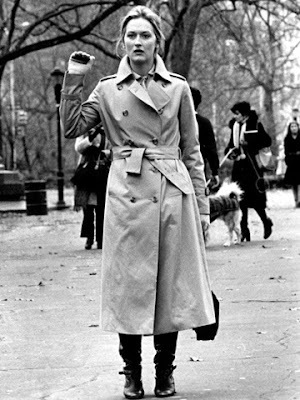 Mery Streep, Kramer vs Kramer. Vaknade vid tre av katten som bultade på dörren så husets väggar skallrade. En katt med jättenävar och hunger i sin kropp. Läser en äldre text från The New York Times om Donald som någon klok hade delat. Om att mobbing och argument ju inte alltid biter. 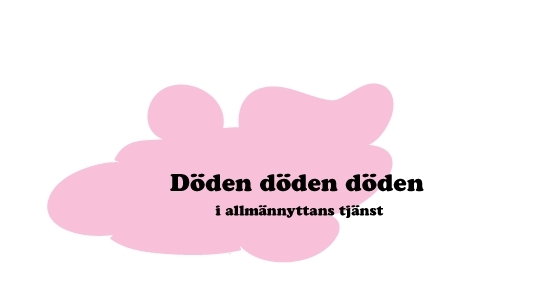 Att döda någon med hövlighet är alltid bäst. Visst väckte Obama något i Donald, den rödlätte mannens temperament och hämndbegär? "There was one performance this year that stunned me. It sank its hooks in my heart. Not because it was good. There was nothing good about it. But it was effective and it did its job. It made its intended audience laugh and show their teeth. It was that moment when the person asking to sit in the most respected seat in our country imitated a disabled reporter, someone he outranked in privilege, power, and the capacity to fight back. It kind of broke my heart when I saw it. I still can’t get it out of my head because it wasn’t in a movie. It was real life. And this instinct to humiliate, when it’s modeled by someone in the public platform, by someone powerful, it filters down into everybody’s life, because it kind of gives permission for other people to do the same thing. Disrespect invites disrespect. Violence incites violence. When the powerful use their position to bully others, we all lose." Vi får helt enkelt skärpa oss och vara lite vänligare mot varann.